colorful in a man cat kind of way. Catzowey! 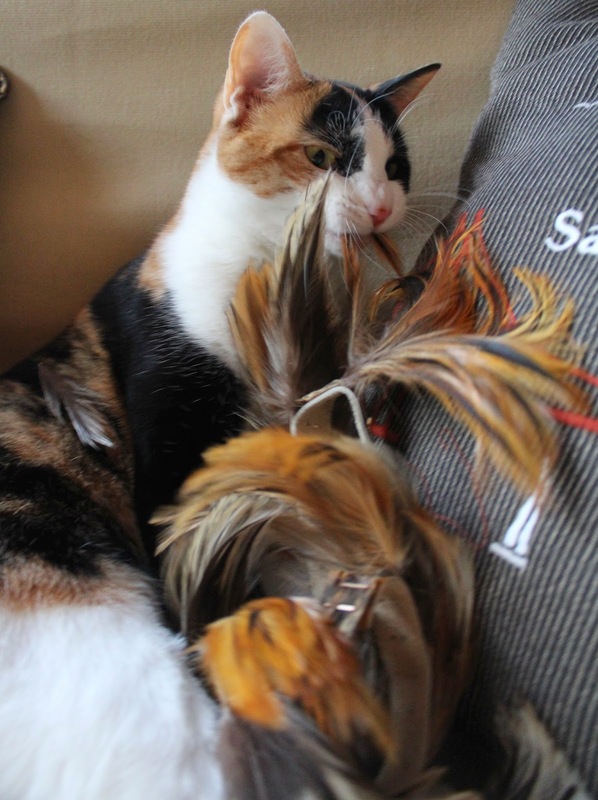 My lil sisfur Grappa preening and careening her feathers too! Oh no Grappa NO! 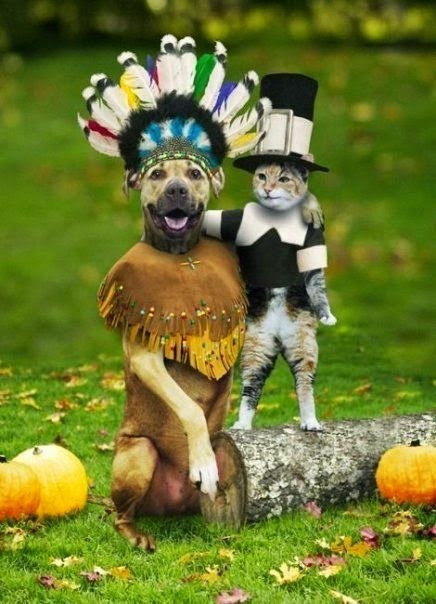 Dontcha go eating your Thanksgiving Day outfit ! round and makes me purr. 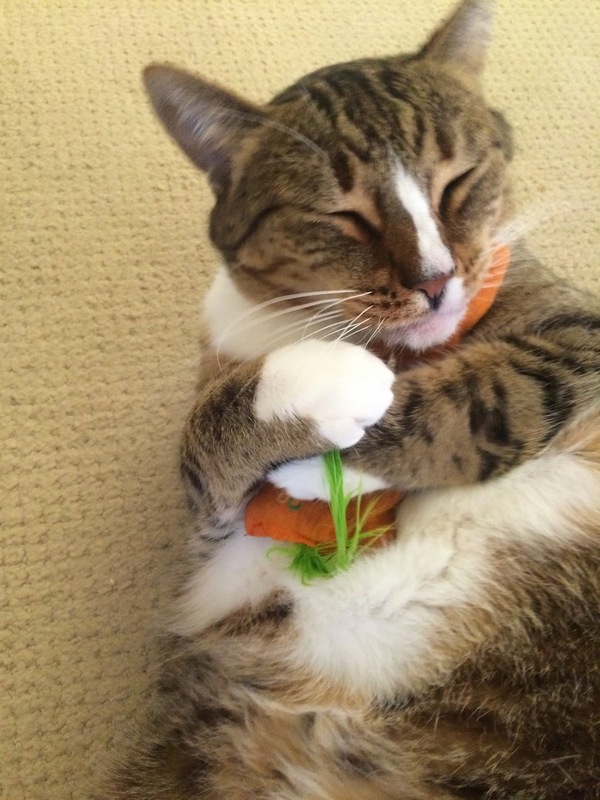 send abundacat kitty hugs to meowvalous you! 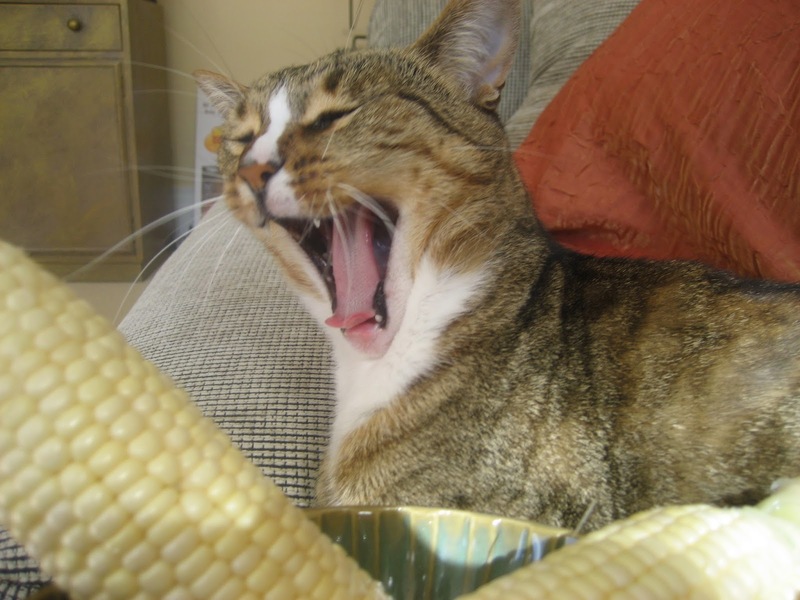 Catzowey - Me & MYself shouting out and about that weeza falling smack dabzatini into the finest Fall vegies ! And my favorito EyeTailYun tortellinis got the funtastic Fall vegies inside and under all dat yummy roasted tomatoe red sauce - whisker licking good ! It's for sure, yep uh huh - Me & MYself are in love with funtastic Fall vegies. So gonna fall into a big comfy Mancat sized catnap now. 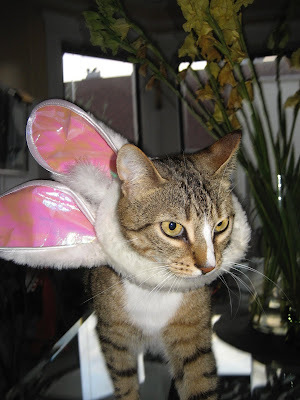 Catzowey ! That is not Me & MYself hiding in those funtasticat Fall flowers. Yikes itza gotta be my lil sisfur Grappa purrpondering doing her Falltastic deeeeestruckshun act! It's for sure she's caught in the act as a matter of fact. 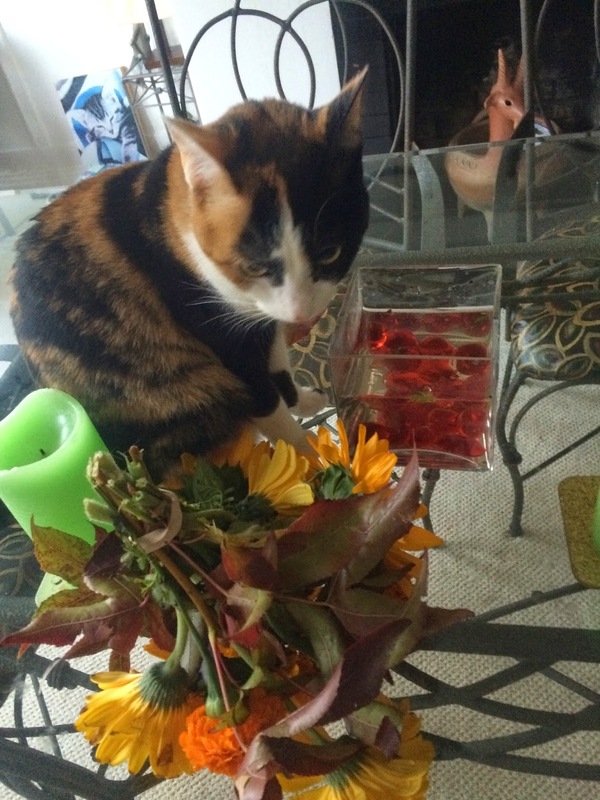 Grappa is redeeezining the Fall flowers in a colorful calico way, like those kind of air plants that require no water, no soil and it's no purroblem at all. Hmmmzatini now where did lil sisfur Grappa get these flowers arranging talents? lil sisfur Grappa her meowvlaous floral pawniques. This IS called being caught in the act as a mater of fact. I am wishing you a nonCATastrophic Fall week in fact! and lil sisfur Grappa too ! Itza Election time again in the USA on 4 November 2014. 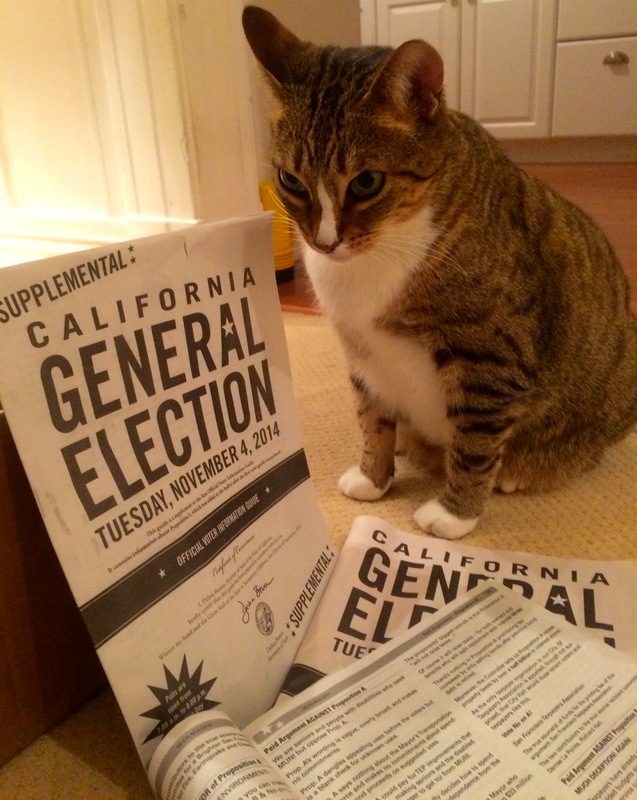 Hmmmzatini I'ma purrrpondering all these giganticat ballots before my paws head to the voting place. Brought in the lil sisfur Grappa to help figure out all the catOHstrophic ballot stuff and sheeza pawing her way through them - hope she finishes before Election Day. MEOWZA WOWZA! Lil sisfur Grappa looking at all the issues from different angles. That's good ! 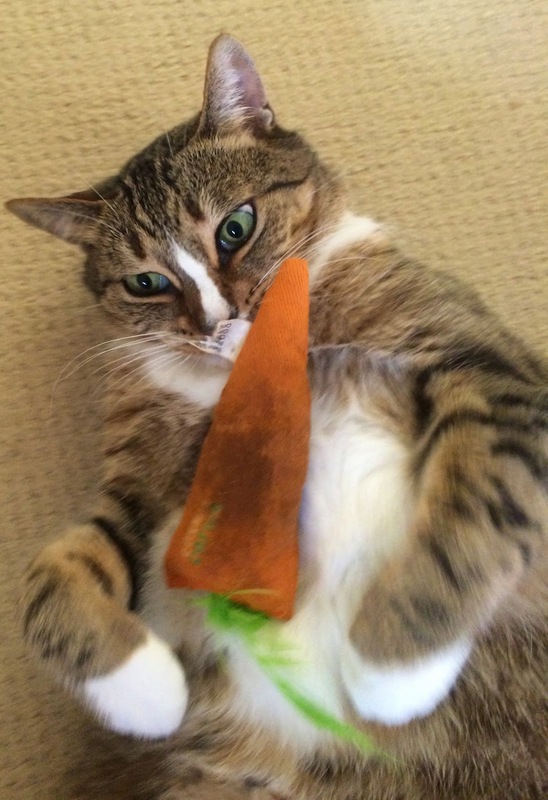 Me and Myself got exhaustacatted trying to figures out the ballots so reached for my organicat nip carrot. Bamzatini passed out right in the middle of purrpondering what to votes on. Yep Uh Huh it's for sure! Our voting ballot books are more giganticat than a Cwismus holly dazed catalogue. So dontcha worry cuz Me & MYself and lil sisfur Grappa confused to the meowximum too! Hoorayzatini youza not alone in ballet confusion! Oopsatini I means ballot confusion .. Hee Hee Hee! Now you knows we wishes you the mostest nonCATastrophic week!